CrackBerry Poll: How do you like design of BlackBerry London, the first BBX phone? 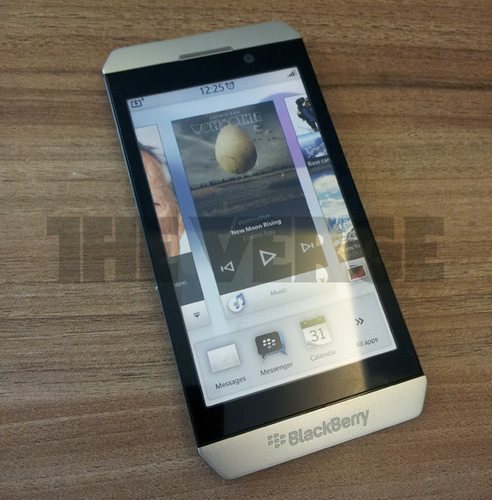 What do you think of the look of design of the BlackBerry London BBX phone? Exciting day in BlackBerry land! CrackBerry fans have been waiting a long time to get a good look at the first BBX BlackBerry, and today we finally have our first glimpse. The Verge posted the photo they were given of what is apparently a dummy model of BlackBerry "london" with a fairly big disclaimer that it could be fake. BGR followed up with a post saying it's legit and it definitely matches the evolution of the description of what we've been hearing on the first full touchscreen BBX phone (remember - the original Colt was scrapped). So **assuming** the first full touchscreen BlackBerry with BBX will hit the market looking more or less like the phone in the picture above, the thing I want to know is what do you think?! Love it? Hate it? Not sure?? With the silver framing it definitely gives off a feeling of the Porsche P'9981 BlackBerry, but it's not so hard to imagine the device in a more traditional all black color scheme. Overall I think I'm liking it. There's a lot of bezel, but you're going to need a decently sized bezel to take advantage of all the swipe gestures in BBX. It's an edgy look and I think RIM needs their BBX phones to be a little edgy to stand out in the crowd (hhmmm... BlackBerry Edge might be a decent product name for this one?!). Vote on our poll above and let us know where you stand on it so far. All I know is seeing this makes me want to jump on a plane tomorrow and fly to Waterloo to try and get my hands on one!